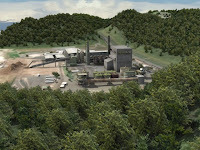 Chris Wilson, our Lead 3D Designer, has been working on putting the final touches on our 3D Virtual Mill. A number of our other Meda Designers have had a hand in creating specific pieces of equipment. 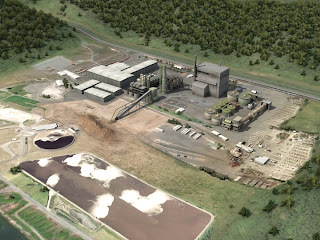 Among other areas, the mill features chip yard, digester, evaporators, recovery boiler, recaust area, bleach plant and paper machine. 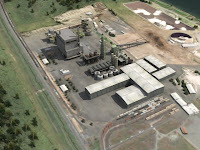 Our 3D Virtual Mill enables us to create training in the same fashion as our custom training, but for sites that need to cover fundamentals before focusing on site-specific processes and procedures. This is one of the preliminary renders and still has some more equipment to add. This will be the basis for our upcoming Pulp and Paper Fundamentals courses.